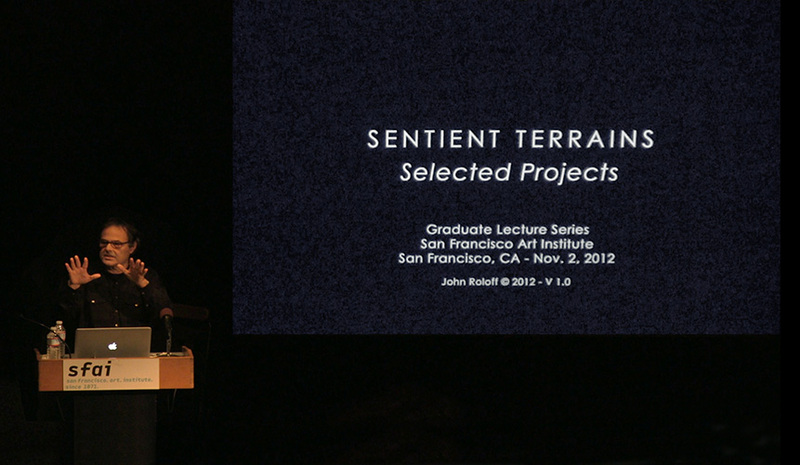 Left: Sentient Terrains (Selected Projects) / Graduate Lecture Series / San Francisco Art Institute / San Francisco, CA / November 2, 2012. WOCEF Conference Hall /Ceramic R&D Center / Icheon, Republic of Korea / April, 26 2009. Over 145 public and visiting artist lectures and/or panels/workshops have been presented in a wide range of institutions from 1974 to the present. From around 2008 to the present have been a concetrated grouping of talks and writings, partially initiated by the work done at the Exploratorium (2008-12) that have investigated a range of conceptual underpinnings and strategies of the oeuvre. Concepts such as: Land within the Sea, Sea within the Land, Sea within the Sea, Land within the Land, Sentient Terrains, as well as a range of ecological and Anthropocene-related positons have been examined and articulated in both lectures as well as writings in a range of formats/venues. A full listing of the talks and writings may be found in the resume on this website. 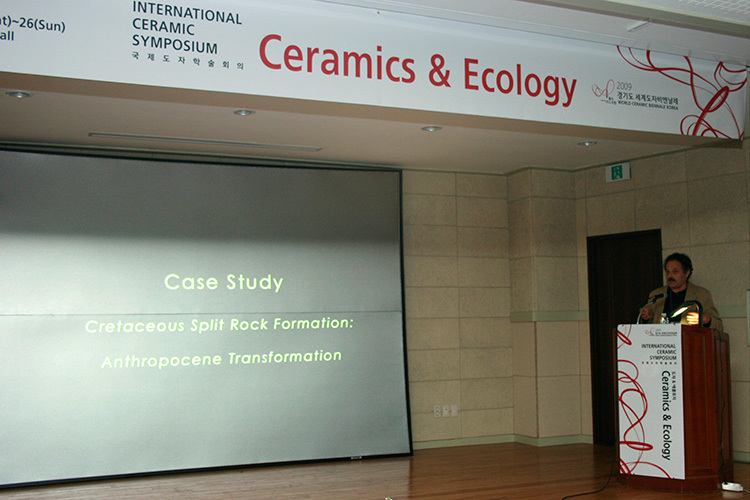 Ceramics: Geologic Lens/Systemic Practice / 2009 / Formed the basis of the symposium talk (right image above).